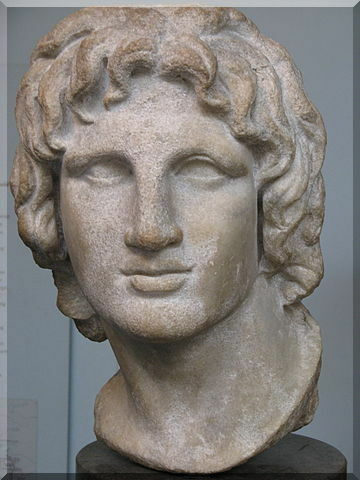 Alexander the Great was Ruler of Macedon in the 3rd Century BC. Never defeated in battle, he is one of the most vaunted military leaders in world history. The following quote from Alexander speaks directly to, and underscores, his understanding of leadership. We need to ask ourselves, then, “How critical is a leader?” Answer: invaluable. George Patton was the most brilliant commander of an army in the open field that our or any other service produced. Quite clearly, it is not so much the composition of the army that is critical in combat, but rather the presence and prowess of the leader of the army that places the greatest weight on the scales of war and ultimate victory. Likewise, it is our leadership of our own life that determines its success or failure. Let us not rely on others to solve our problems or guide us through the highways and byways of our life. Let us be the lion leading our own way, never relinquishing our individual sovereignty to the decisions, thoughts and actions of others.